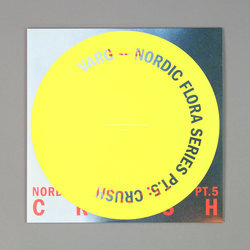 Varg - Nordic Flora Series Pt. 5: Crush. Vinyl LP. Bleep. 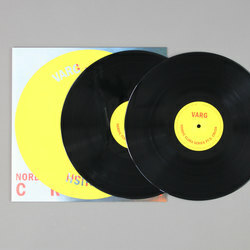 Varg signals the beginning of the end for his Nordic Flora series with Pt. 5: Crush. Before moving fully into FLORA mode, the ambient-techno-pop project Varg and AnnaMelina are performing as around the world alongside the Posh Isolation crew. Crush lands fully tooled up with collaborations from Ecco2k, AnnaMelina and Vanity Productions. Continuing the ambient techno gloom that characterises our journey deep into the Nordic Flora maze, Varg once again splices elements of trap music and heavy breaks with spoken word samples talking about Sugar Free Red Bull and a fast tracked life as seen through the camera lense of an iPhone X. No matter what you think of Varg's online persona, there can be no denying the Nordic Flora Series has given us some of the years most futuristic sounds, beamed in from the future or the nearest airport's Wi-Fi. Seriously good stuff!